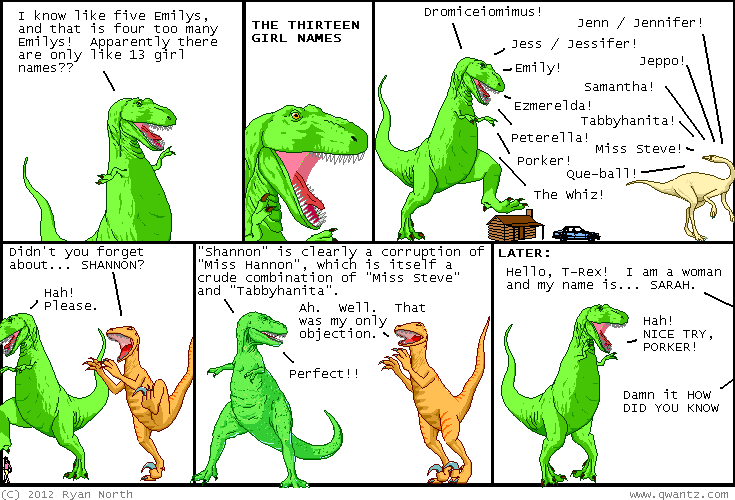 Dinosaur Comics - April 16th, 2012 - awesome fun times! –This causes us to experience an emotion called "grief"! One year ago today: inspired by the nine or ten rapid-fire games of chess joey comeau beat me at in Montreal! may i just say: what the heck, joey comeau.